SCENE: a Budapest Jail, 1944. A female prisoner sits on her cot. Suddenly, a woman in a salmon pink blazer and magenta hijab materializes, Star Trek style. Woman: Are you Hannah Szenes the Zionist? Prisoner (with weary sarcasm): You can just call me Hannah. But yes. Yes I am. 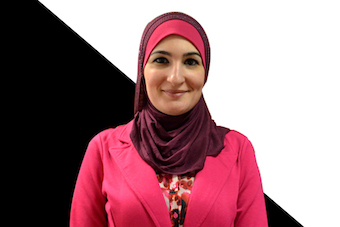 Woman: Well my name is Linda Sarsour. And I have traveled from the future to inform you that you are not a feminist. Hannah: Oh hey Linda. Of course, of course. I follow you on Twitter. And I guess you have a point. I mean, I only parachuted behind enemy lines to fight the Nazis. Linda: By the way, did you know that Saudi Arabia offers 10 weeks maternity leave? Pretty good huh? Hannah: Hey that’s great, but the Gestapo just said I’m going to be shot tomorrow at dawn because I won’t snitch. So, like not that relevant, know what I’m saying? Linda: Whatever. I just came here to speak truth to power. Hannah: Look, I appreciate that you stopped by. I really do. You’re the first visitor in weeks who didn’t click his heels like Ralph Fiennes in Schindler’s List. But did you bring anything to help? A nail file? I could saw my way out. Maybe a hair pin? I could stab the guard tomorrow. Linda: Sorry, but this whole war is a bit too intersectional for me. Hannah: I hear you. Listen, I’m going to try and sharpen my toothbrush into a shank now. Linda: I need to leave this construct of weaponized whiteness. Hannah: Great; thanks for stopping by. Oh and give Mufti Al-Husseini my regards. Linda: You’re such a racist. Hannah: Don’t let the steel door hit your tuchus on the way out.